Now I know for many of us January is all about getting over the Festive indulgences and creating new and healthy habits and you probably thought you would need to say goodbye to gooey, chocolatey deserts like this? Think again…. I actually wanted to call it a Detox Chocolate Pudding but decided against it but this is one chocolatey, fudgey, mousse, pudding thing. We made them at the weekend to take over to a friend house for dinner and being all organised I made them on Friday evening so they were ready to go on Saturday as on Saturday Joe and I had our annual Dreaming Day (where we spend time together celebrating the past year and looking ahead to our dreams!). But they didn’t get that far. We both ended up eating all of the first batch on the Friday night so had to make more for Saturday. So goooood. These are so simple to make and just require a food processor and are full of healthy fats, magnesium from the cocoa and naturally sweet goodness from the raw honey. So don’t let deprivation set in, eating clean and being super naturally healthy is not about restriction it is about being creative and enjoying natural whole food. Its about giving yourself permission to crave and indulge but in the context of knowing and acting like you are powerful and that you rule food it does not rule you! Plus if you like me and following a GAPS, AIP or SCD or similar gut healing protocols then these are the perfect pudding for you – hooray! 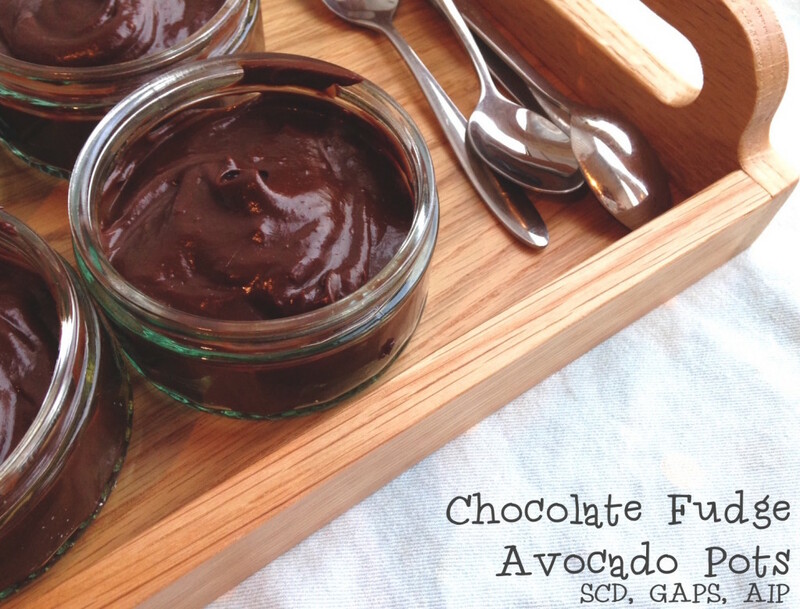 And these Chocolate Fudge Avocado Pots are also the perfect example of one of my Flourish approved recipes. My 6 week online program is the natural, delicious and effective way to create a life you LOVE. There is absolutely NO dieting, calorie counting or beating self up allowed on this, just natural, good honest food and all the tools you need to create a healthy slim and fun LIFE. 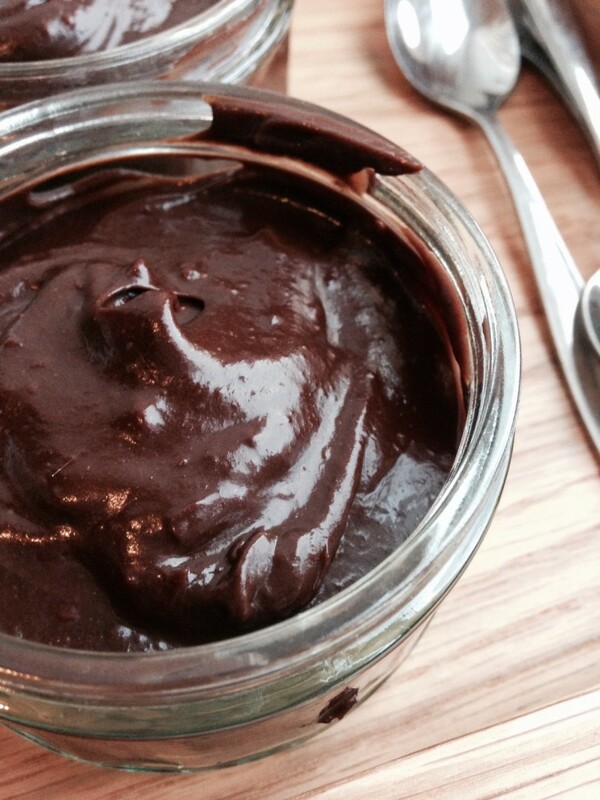 A simple dairy grain and gluten free chocolate pudding that is GAP, SCD & AIP approved! Melt the coconut oil and honey together then blend with all the other ingredients until silky and smooth. Taste and add for honey accordingly. 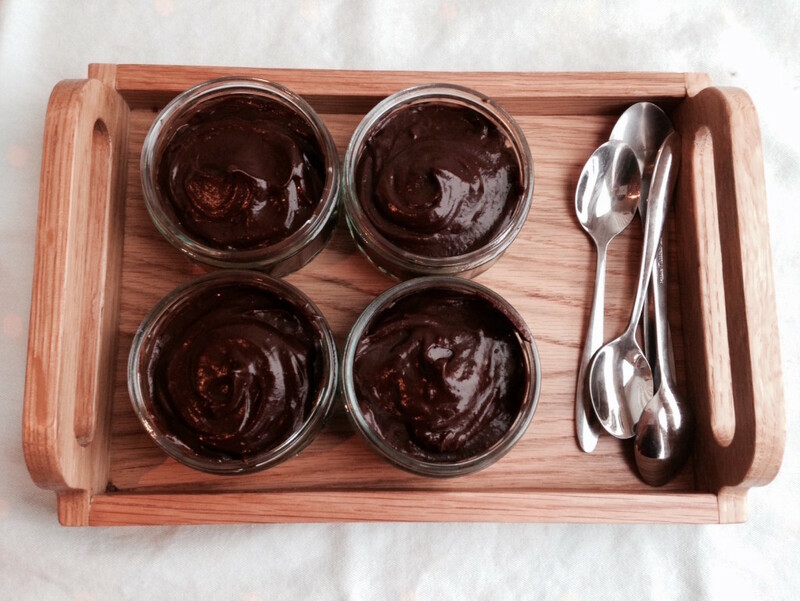 Pour into ramekins and leave to set for an hour. Serve with coconut cream strawberries or mango. Chilli makes for a great chilli chocolate combo. You can eat it straight away too before it has set - still tasty! And fore more tasty recipes and good stuff then make sure you are signed up to my weekly emails to get all this goodness and much more straight to your inbox! Click to join the tribe.